I am so proud of this recipe! 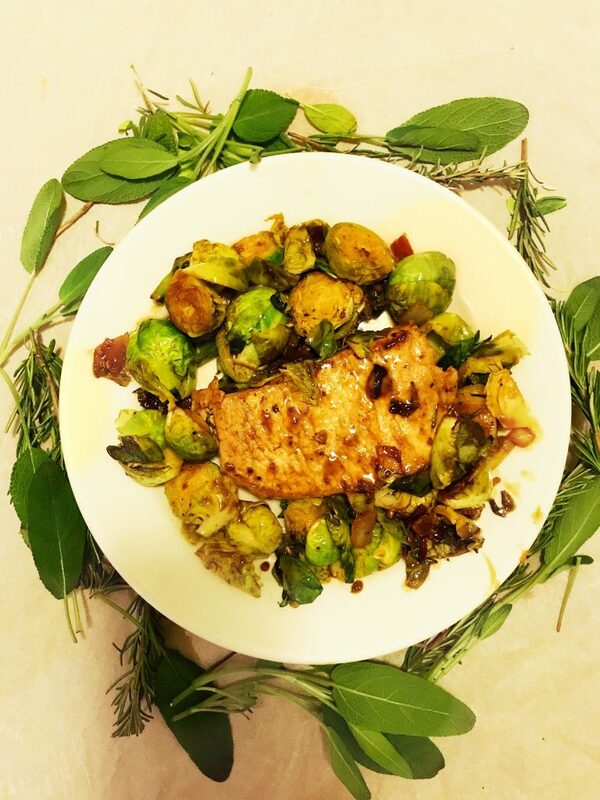 I was going through things I had in my freezer (pork chops) and things I needed to get rid of in my fridge (an incredible amount of brussels sprouts that I bought on sale). Everything else I had in my fridge or pantry and it all just worked together! The subtle sweetness of the honey with the touch of spice from the Dijon was just the most delicious compliment to the pork chops. They were so juicy and tender too, thanks to the pan searing! Not to mention, the brussels sprouts were smothered in the sauce as well and were the perfect compliment. I also considered adding in diced butternut squash and even sweet potatoes! If you’re feeding a bigger family and looking to add in extra protein. Not to mention, the clean up was easy, since you only need one pan. I plan on keeping this one in rotation for a while, I am craving this again for dinner tonight! In a large, skillet cook bacon until it is at the desired crunchy level. Remove from skillet and set aside, breaking into small pieces when cool. Salt and pepper both sides of pork chop, and place them in the same skillet the bacon was in, letting them sear in the bacon grease. Sear pork chop on each side for 5-6 minutes (including edges for 2-3). Set aside. In the same skillet, add olive oil, garlic, and onion. Sauté for 2 minutes, or until the garlic is fragrant. Add in brussels sprouts and allow to sauté for about 8 minutes, stirring occasionally. While brussels sauté, whisk together Dijon, balsamic, honey, and a bit more salt and pepper until combined. 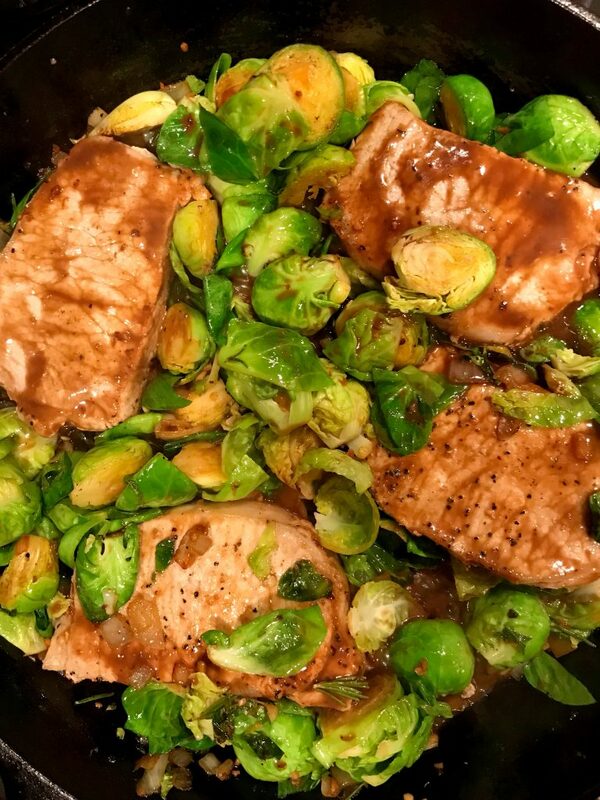 Next, add pork chops back into the skillet with the brussels. Pour sauce over everything, stirring the brussels to incorporate the flavor, and flipping the pork chops so they are covered too.